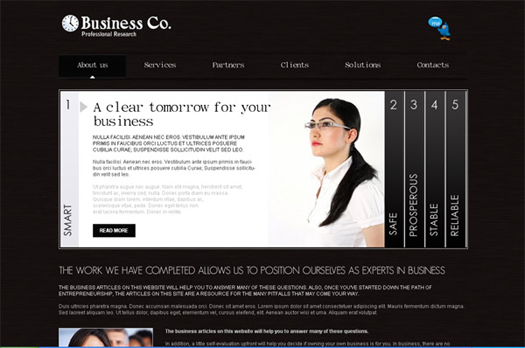 Sequel to final week’s well-liked Business Website Template PSD (NeoArts Theme) freebie, we’re providing an HTML5 code of the same free of charge obtain. This freebie consists of full documentation of NeoArts website template in addition to all of the scripts, graphics, HTML5 code, and supporting records data that you want to construct your personal enterprise website or portfolio on NeoArts template. In the event you just like the NeoArts HTML template, it’s possible you’ll prefer to obtain the NeoArts free web template PSD. 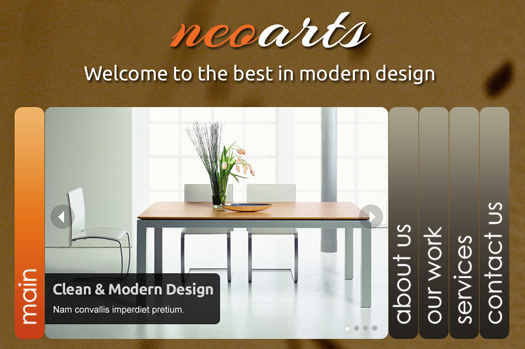 A WordPress theme can also be out there for NeoArts, do not forget to test the free WordPress theme. One question though, how may I place the sliding tabs to be on the left so as to appear as the one-pager blue template? Great template, I’ve been looking for an accordion like this for quite a while. The only problem im getting is browser compatibility. for example it Doesnt work at all in I.E 8. Nice template. Is there a way to have it start with the main window already open? Thanks for sharing, good theme !